Beth Parish is an eight-year-old girl blessed with a marigold flower fairy spirit. With her mentor, a monarch butterfly fairy, Marigold learns how to be a fairy, and discovers things like the Fairy Handbook, the vast variety of fairy wands, how to create fairy lights, the purpose of fairies, what gnomes do, and the three things gremlins are afraid of. She attends fairy circle and meets her new friends —Thistle, Dragonfly, and Firefly. They discover that the brownies, keepers of the Feather of Hope, which is the source of all hope on Earth, need their help. Marigold must enlist the aid of her dachshund, Peanut, in a daring mission to rescue the Feather of Hope from a house occupied by dangerous gremlins. Jennifer Sommerset is a dragonfly fairy. She discovers that the Web of Dreams, a magical web that is designed to catch nightmares, has been destroyed. Along with the Sandman and several fairy friends, Dragonfly makes a dangerous journey to visit the Dream Spider to convince him to rebuild the Web of Dreams. She encounters trolls and an evil dream spirit on her quest to save the world from experiencing a lifetime of terrible nightmares. "I love pixy folk. This book is so much fun and a magnificent beginning to a wonderful fairytale saga. There are so many interesting segments in this book. For example, I didn't know that fairies love lemon jellybeans and can get lost in jigsaw puzzles, or that the fairy handbook is everchanging and interactive, or that gnomes add colors to nature. I am also delighted to find out that gnomes can disguise themselves, which is why I never see any in my garden. The job of the brownies is very interesting too, along with the three things gremlins are afraid of. The detail in this book is really incredible. My daughter was so excited to discover that trees have meaning. This story really peaked her interest, and we have since looked up tree and flower meanings. Also, I had no idea that marigold flowers can repel bugs. That is great information to know. I love the various forms that mother nature can take, and the mention of migrating monarch butterflies. My daughter looked up migrating monarchs right after reading this book. I am impressed that she has learned so much just from this story. We are now both excited to read additional books of this series, especially since we have found out that there are bat, spider and snake fairies to read about." 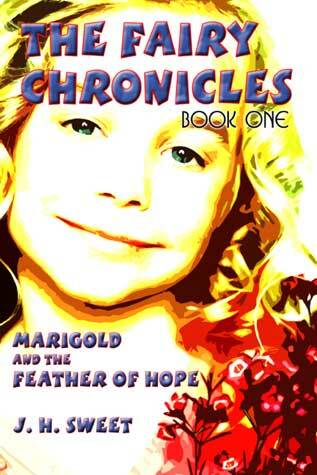 "My daughter and I liked the first book of this series very much, but we like the second book even better. It is more exciting and has interesting characters added including The Sandman, the Dream Spider, and trolls. This book has both a happy ending and somewhat of a trick ending which adds to the excitement. We also loved the beginning of the story about rabbits not being scared by boots because "rabbits are too smart and boots are too dumb." It was so charming that it reminded us of some of the Winnie the Pooh stories we have read. We are really looking forward to reading more books in this series."